UXBRIDGE, Canada, Jun 10 2013 (IPS) - Africa is the main target for “land grabs” by foreign investors, according to a new report on large-scale land acquisitions around the world released Monday. About half of this land is for food production and half for biofuels, according to data compiled by the ILC, a global alliance of nearly 100 civil society and intergovernmental organisations, including the World Bank and United Nations Environment Program. “Some investors aren’t actually farming and are only interested in land speculation,” Taylor told IPS. Rural communities are being displaced from their agricultural, grazing, forests and traditional lands by international investors, Teresa Anderson of the Gaia Foundation, the UK partner of the African Biodiversity Network, told IPS. Most of the food-producing lands in Africa are held in common by local communities. In Asia and South America, hundreds of millions of small landholders, pastoralists and indigenous people do not hold formal land titles. And when it suits governments, they ignore this customary land holding and sell or lease the land to private companies. Private capital from pension funds and investment firms are chasing food-producing land since they see it as the next big profitable commodity. “Investors are looking for annual returns of 20 and 25 percent and many are getting it,” said Taylor. Experts at the University of Georgia recently completed an assessment of 34 land acquisitions in Africa and concluded that in most cases local people lost “their land and livelihoods often in the absence of any real benefits”. The U.S., Malaysia, United Arab Emirates and the UK are top foreign investors not only in Africa but in other countries, according to the ILC’s new Land Matrix Global Observatory. The Land Matrix is a website that provides the locations and details of nearly 1,000 land transactions all over the world. The largest transnational land deals are in South Sudan and Papua New Guinea. The Land Matrix lists the individual land deals including the companies involved, the size of the acquisition and intended use. 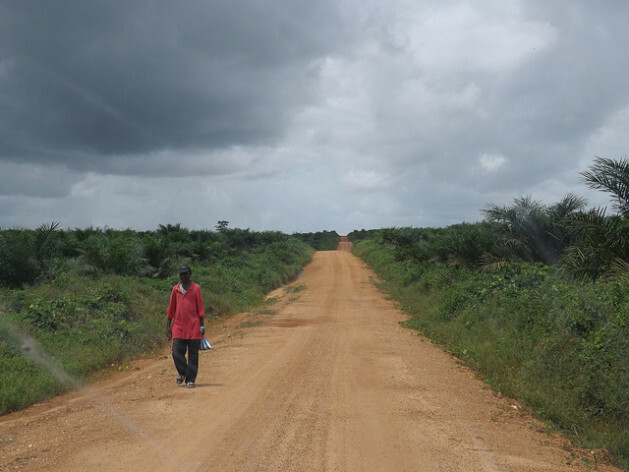 In Papua New Guinea, many of the land deals appear to be for palm oil production. It is very difficult to track and detail land deals around the world and the ILC hopes that people will provide feedback and offer information, said Taylor. “There is a huge number of land purchases going on that are not reflected in the Land Matrix,” he said. Most of those are internal land purchases or leasing by elites within countries. Those are very difficult to document, he said. “In the last three years, the government has sold more than 50,000 hectares of our land to companies,” said Lalji Desai, a Maldhari, a traditional shepherd in the state of Gujarat in India. This is part of the state government’s plans for “development” but Maldhari and local farmers want to stay in agriculture. “The land is very fertile, we don’t want to give it up,” Desai told IPS from Ahmedabad, Gujarat. Up to 70 villages with 125,000 people now find themselves living in “special investment regions” and their lands are being parcelled out to foreign companies like Suzuki and Hitachi, he said. “These are not well-educated people. They won’t get jobs working for those companies,” he said. Most companies are getting far more land than they need and are making money off reselling the land. “Land prices have increased 20 times in last 10 years. Everyone wants to buy land, including powerful politicians,” Desai said. Local people want to stay on their land and are working to strengthen their movement and get more public attention. “We want people to know the best use of our land is for food production,” he said. This is the kind of situation that the ILC hopes to make public through the Land Matrix website. The hope is that the Land Matrix becomes an important tool to address the lack of transparency that still surrounds large-scale land transactions, said Ward Anseeuw of the Centre de Coopération Internationale en Recherche Agronomique pour le Développement (CIRAD). “The Land Matrix has evolved from a database into a public tool promoting greater transparency in decision-making over land and investment at a global level,” Anseeuw said in a statement.